You can't say enough good things about this school!! teachers, staff, education, facility...it's all top notch!! I know I couldn't be doing any better for my children than sending them to these lovely women for their early education! ﻿Call 614-761-2020 to schedule either 9 am or 1 pm tour that includes classroom observation as well as a meeting with our director, Mary Jill Roshon, who will answer your questions and offer you a registration packet. Following your visit you may send in your registration form along with a non-refundable fee of $50. Applicants will soon thereafter receive a call informing about the placement decision along with the contract. Dublin Montessori Academy was established in 1988 by Christine Furlong. The first classes were held in the rooms at St. Patrick's Episcopal Church; due to popular growth, moved to 6055 Glick Road in Powell. In August 1991, Mrs. Roshon became the school's new owner; in 1999 the school built its own facility at the present site, 10465 Sawmill Road, Powell, Ohio. 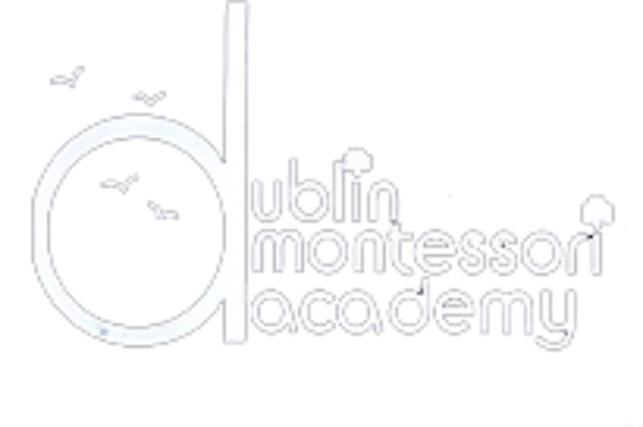 Dublin Montessori Academy is a privately owned preschool through kindergarten serving children ages 2.5 through 6. ﻿We are licensed by the Ohio Department of Job and Family Services and are a﻿ Full Member School with the American Montessori Society. The school is non-discriminating in the admission policies with regard to race, religion or cultural heritage. The school year begins in September after Labor Day and concludes on the Friday before Memorial Day. Morning Montessori classes are held from 8:30 a.m. - 11:30 a.m. The afternoon sessions - 12:30 p.m. - 3:30 p.m.
Extended care hours are offered before morning classes from 7:15 a.m. to 8:30 a.m. and after classes until 6:00 p.m.
Our children attend classes Monday through Friday. By the time they are ready to enter their kindergarten year, we offer the option of attending either a half day or full day session for the children who have previously attended Montessori preschool. "Montessori Kindergarten: Empowering & Essential"
is the happiness of the child.